Intending to callously delete this comment, I abruptly paused with my index finger hovering over the left mouse button. What if this is legitimate feedback? What if the glaring absence of apostrophes is because the commenter had been moved to point out my whiny, attention-seeking ways on their android phone, but lacked sufficient time to insert proper punctuation? I realize that I am, indeed, a bit of a publicity whore. From the beginning, I have spent a lot of time writing about myself and my pet peeves without so much as a infinitesimal thought of what anyone who might come across my blog might enjoy. I have even “borrowed” the work of others when I was too lazy to post my own thoughts. At times, however, I did believe I had something amusing, or interesting to say. Whether this was simple narcissism – as the commenter suggests – or something else, I cannot say. I imagine everyone believes themselves to be witty, gracious, and a touch philosophical. I am no exception. I would even go so far as to say that an author must imagine themselves to be all these things and more, else their foray into the hazardous (to the ego) and mysterious world of writing would end before it even began. Sighing deeply, I returned to the task at hand and decisively clicked the button. The self-reflection was fun, but I have to get back to writing. Just click the image to go to the series page to read or listen to it for free. In addition, I think it’s time for TotallyTawn to evolve. I never really had a plan when I started blogging. I certainly never thought that I would discover such wonderful writers as Snoring Dog Studio, Peg-o-Leg’s Ramblings, and A Song in the Desert who have been a great inspiration to me, both because of the quality of their work and their dedication to consistent posting. I’ve come to realize that the latter leads to the former. And so, I would like to take TotallyTawn to the next level by utilizing it as a vehicle to hone my skills. Beginning next week, I will begin posting everything from rants to flash fiction with no holds barred a minimum of twice a week. This is a step into the unknown for me. Please keep me company. Happy Valentine’s Day! A little more than a year ago, I timidly wandered into the Blogosphere hoping for nothing more than a creative outlet. To my surprise, I have gained so much more than that. I have no words for the depth of the gratitude I feel for the support, encouragement, and friendship I have received from so many. I am overwhelmed. Thank you. I’ve heard that you can’t move forward without looking back, so I thought this would be an appropriate time to share one of my favorite posts from each month with you. I hope all of your years to come are filled with joy, adventure and love. Thank you for sharing my journey with me! When I began this whirlwind adventure into the world of writing, I never imagined that I would not only want people to see my work, but I would offer a bribe to gain readers. 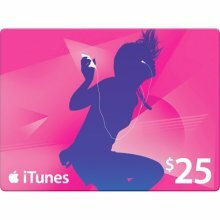 Here’s the skinny – each new SUBSCRIBER to http://www.bigworldnetwork.com/Darklingdrake.html and/or http://bigworldnetwork.com/thepirateprincess.html will be entered in a random drawing for a $25 iTunes gift card! One prize will be awarded per series and if you also LIKE the series page, you will be given an extra chance to win! The sweepstakes ends Saturday, December 17th at midnight CST and I will draw the winners on Sunday December 18th. Winners will be notified via the email address entered for the subscription, so invalid email addresses will be disqualified. You must be 18 to enter the Darkling Drake sweepstakes.